In the old days it was Microsoft Explorer or the highway. Then there was Netscape, then the pandemonium of still other web browsers. And that was before we knew what mobile computing was all about. Nowadays with smart phones all the rage, it is time to think about which browser we really want on our Android mobile computing device. If you are a plain vanilla type of surfer, then do nothing. Your default browser on your Android device is most likely Google Chrome. 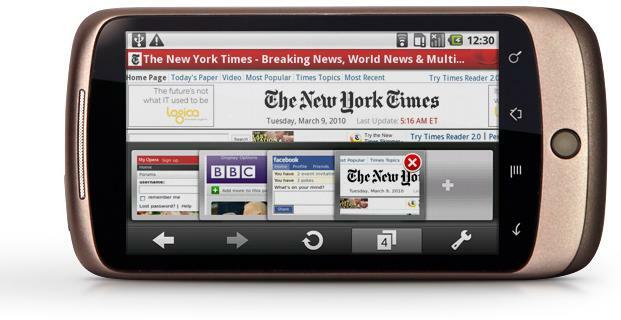 My device, which runs Ice Cream Sandwich, the quaint moniker for Android 4.0, shows a pic of the globe with the simple description, Browser. But I do have a sneaking suspicion that it is Google’s mobile version of Chrome because after all, what other browser would Google place in their own OS? Firefox has positioned itself nicely as one of the most popular web browsers for the ‘grownup’ operating systems like Windows XP on up the Microsoft-ian scale. So it is of course natural that they make a mobile version. With the skyrocketing popularity of all things mobile they would be less than foxy if they ignored that user group. Why then, they are only on a Beta version, is a question best left to some other venue. Still they are one of the top bananas. So why not check it out. You can always delete it. 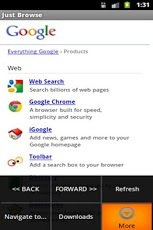 Opera Mobile web browser is pretty cool. It is a neat name with a nice ring to it. And it works pretty well also. My theory about web browsers is the more obscure the better. This is because the awful geeks that create viruses do so with the more popular applications, like Chrome or Explorer, in mind. If you travel the web on a browser that is different than the masses then you have a better chance of avoiding such malicious code. The downside is that a lot of web sites don’t support Opera or its even more unknown cousins. Skyfire Web Browser 4.0 is about as obscure as you can get browser wise. That’s the way to avoid viruses written for the main browsers. Plus you get to be the first on the digital block with something different. Users have approved it with a total of four stars. Wow, impressive. TechCrunch and Appolicious thought so. Skyfire lets you choose if you want to view a page as a mobile version or you can switch to a desktop browser view. That can allow you access to some of the inevitable content that falls through the cracks when paring down apps for the requisite portability of the Android based smart phone. Just Browse takes the proverbial cake when it comes to obscurity. At ‘press time’ only 46 brave souls have downloaded the current version. 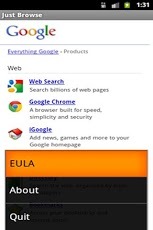 There is a virtual explosion of new browsers to choose from. That is a good thing. Be adventurous and try a bunch. Those that are starved for memory will appreciate Just Browse’s modest consumption in that category. What’s great about having several browsers at your command is that when one crashes for whatever reason you can switch to a different one. That can save you from dealing with waiting forever while your regular browser is in limbo. Whenever i launch an app it instantly crashes though not all do, most internet connected apps seem to be the most affected. It is rooted but this has only started happening recently and its been rooted for some time now. my uncle wants to know what is the best android tv app?